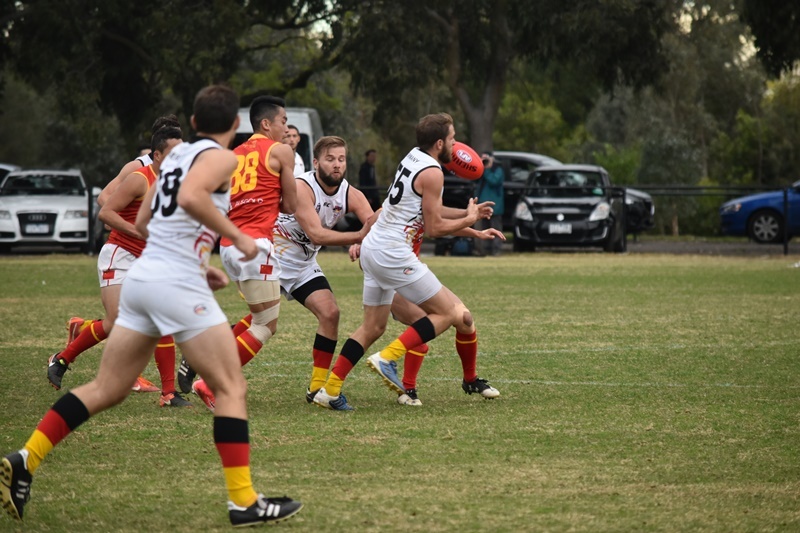 After a disappointing loss to Japan on the previous Saturday, the German Eagles were too strong and too tall for a determined China Dragons outfit at Royal Park on Tuesday, winning their Div 2 semis final and booking a spot in Friday's final against Croatia. Whilst the Dragons were quick out of the blocks and pushed hard in the first term, the Eagles pushed ahead with the breeze after the first break, setting up a lead which the Chinese were ultimately unable to reel back in, the Eagles winning by 28 points. The first quarter opened with a goal to China, kicking with the wind. However, they were unable to capitalise on further chances, whilst the Germans kicked two at the other end, the Eagles holding a 5-point advantage at the first break. 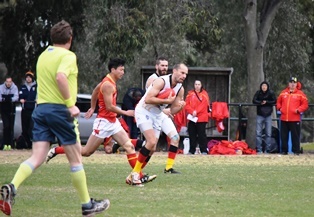 In the second quarter, it was more of the same, with the Germans just far enough ahead of the Chinese in general play to see them kick two goals, including a classic out of the centre from Tobias Menzel. 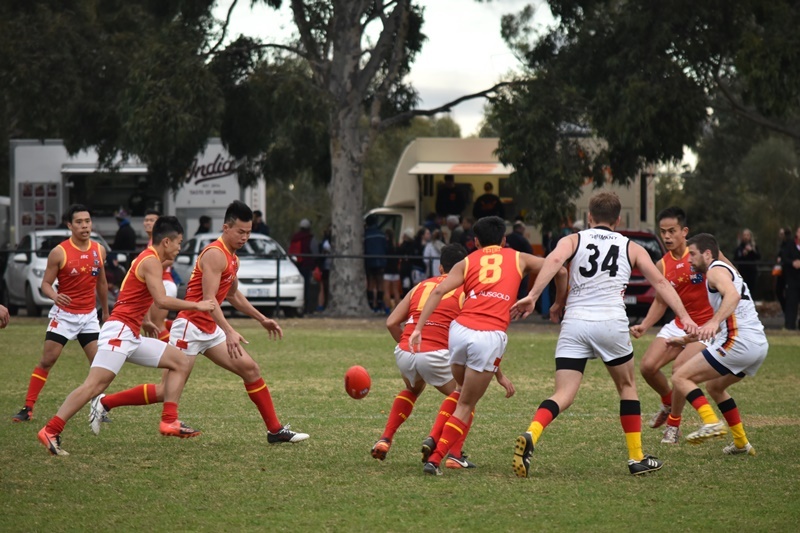 China goalled late to pull the margin back to 12 points at half time, but the Eagles looked in control. The third term saw China come out firing, hoping to use the wind to their advantage to pull the margin back. However, they were unable to convert their opportunities, kicking 1.3 for the quarter whilst the Germans tackled hard and were able to cut off any chances the Chinese had to hit their forward targets. The sides went to the final break with Germany ahead by only 10 points, but the final term was all Germany's way. The Eagles ran away with the match, kicking three goals with the wind to put the result out of doubt, the Chinese failing to score in the last quarter. Passions threatened to boil over after a Chinese defender made contact with a German player's head while attempting to spoil a mark, but ultimately both sides regrouped and the fought hard until the final siren. Starring again for the German Eagles were Jakob Jung, generating run all day and continuing his dominant display through the IC17, and Tobias Menzel, who has consistently provided options taking Germany into attack. With a number of big bodies in their squad, the Germans should be able to take the challenge right up to the physically imposing Croatians in what will certainly be an entertaining Div 2 between to first-time IC sides. The Chinese for their part will be smarting from the loss, and eager to topple Japan on Friday in the 3rd place playoff.